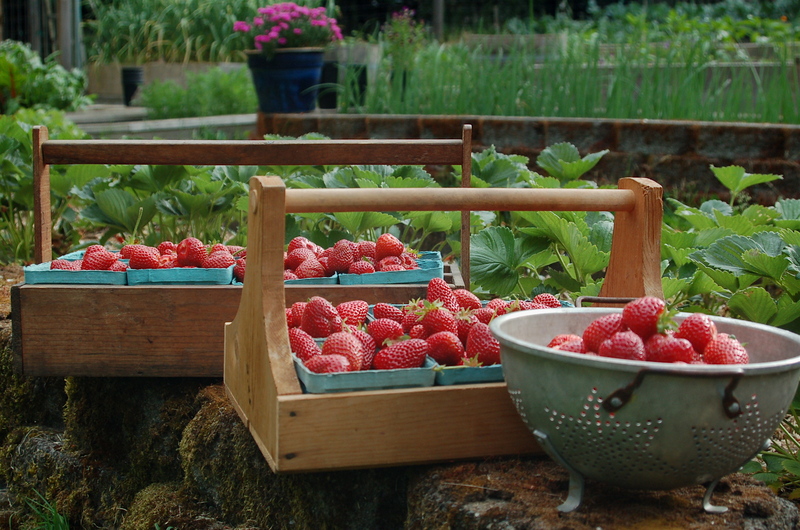 Whether you are a backyard gardener, a market gardener or a farmer, one of the first and most important steps is to start your season with a soil test. An analytical laboratory testing of your soils PH, Organic matter content, and various major, minor & micro nutrients can greatly increase your growing success as well as improve the nutritional quality of the food grown. One of the smartest things I did to improve our farm was to soil test and then to get an analysis of those tests so I could use organic amendments in the correct amounts to improve my soil. The benefits have been Enormous! The quality of the soil tilth has improved, the quality and the flavor of the crops has improved & pressure from insects and disease is minimal at most. 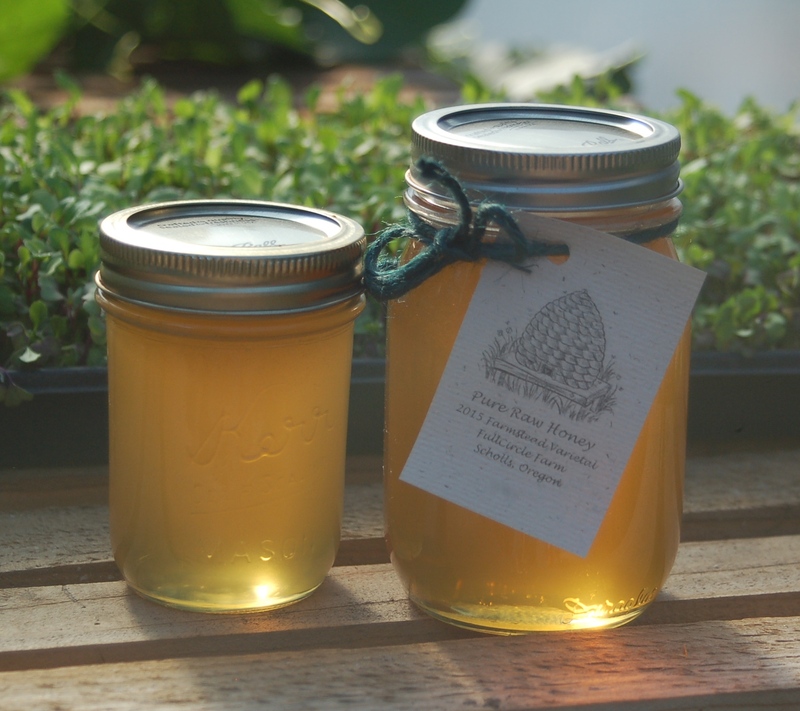 Being an organic grower, I was given specific recipes using organic amendments, to customize fertilizer blends for different areas of our farm. The size of the plot doesn’t matter, as they determine which amendments to use & in what quantities that are needed, based on the size of your operation. From square feet to acres it is calculated for you. If it isn’t in the soil, it isn’t in your food. If it isn’t in your food, it isn’t in you. Several years ago I noticed a decline in the quality and health of my garden & was seeing problems that had not occurred before. This inspired an in-depth research into soil and soil nutrients. 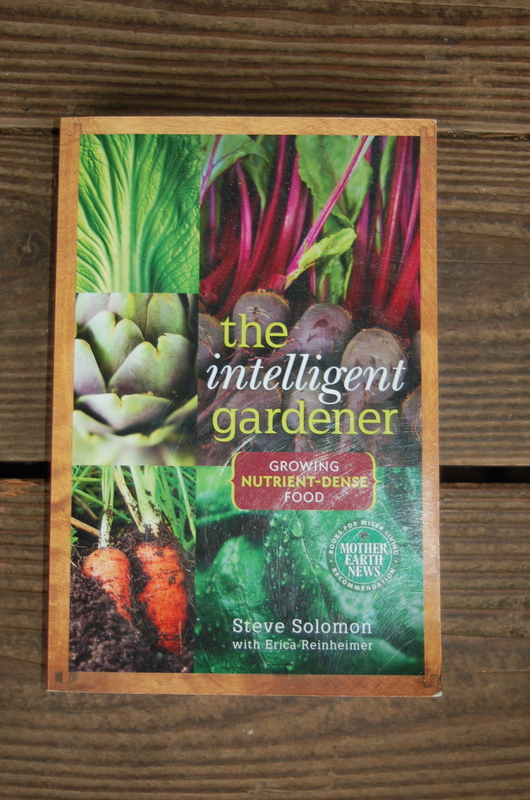 Many books, articles and web sites later I discovered this invaluable book written by Steve Solomon, who began the Territorial Seed Company, and who is the author of multiple gardening books. I was convinced I was on the right track- Improve my soil and crop quality by improving the soil that grew the crops that provided a majority of our nutrition. It was time to test our soil and see what was needed. I decided to utilize the testing facilities recommended in Mr Solomon’s book The Intelligent Gardener, Logan Labs LLC in Lakeview Ohio. Their site is filled with great information, simply laid out and easy to navigate. For our testing I chose their Standard Soil Test @ a cost of $25 per test. 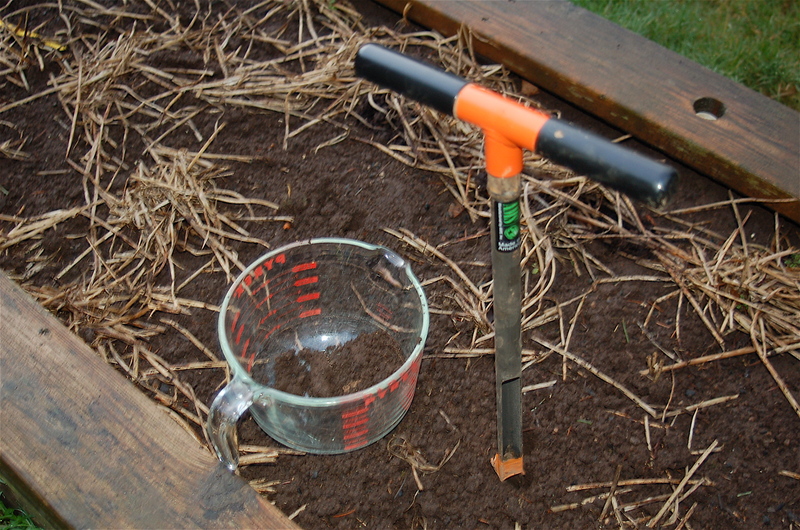 Follow these guidelines on Logan Labs site- soil sampling instructions. I took soil samples from several distinctly different areas of our garden. with a separate test for each area. I then packaged them up & sent them off. Within a week I was emailed the lab results. After receiving the lab results I then turned to a company that provides computer analysis of lab tests and recommends organic amendments for each area tested. You can find their services at Grow Abundant Gardens. A subscription to their OrganiCalc is a mere $9.50 per year for unlimited usage. Armed with this information and by applying the correct nutrients in the calculated amounts I have watched the health of our garden/farm increase each year since. Soil testing definitely has been a great investment in the health of our farm, the health of our crops and in turn the health of the families that our crops and animals nourish. You should try it too! Garlic is such a satisfying crop to grow. It needs minimal space & minimal attention. 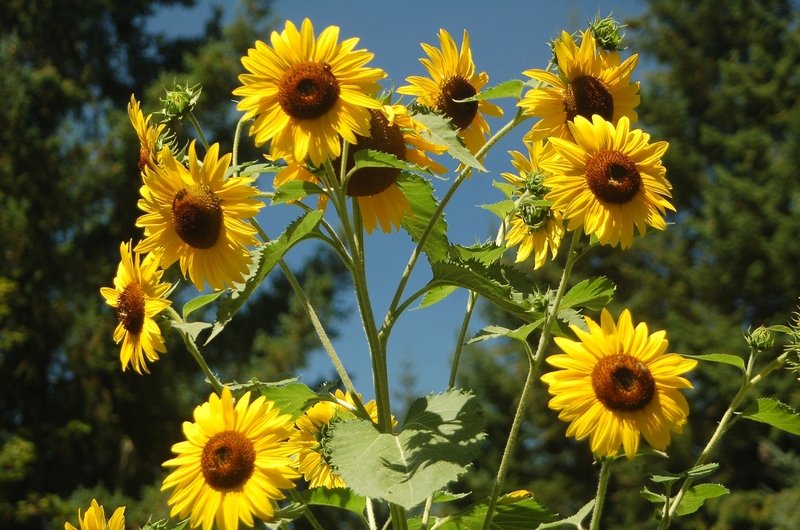 It grows mostly during the off-season, has few if any pests and gives a huge yield for the time and space that it requires. 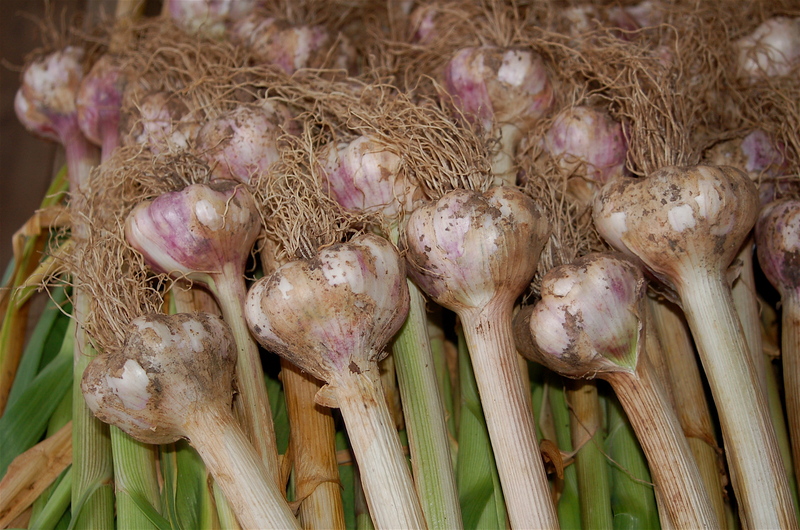 I originally started with bulbs of Inchelium Red Garlic purchased from Territorial Seed more than 20 years ago. I have saved the best cloves each season for replanting every year since that time. The garlic has over the years acclimated to our soil and climate and absolutely thrives here. It has been very gratifying to take a crop “FullCircle” for over 2 decades. With each year my harvest has increased in quality, flavor and size. The crop has improved as my soil has improved with composting and re-mineralization and as my growing techniques have been refined. Each year I save the best bulbs for replanting, setting them aside to cure completely. 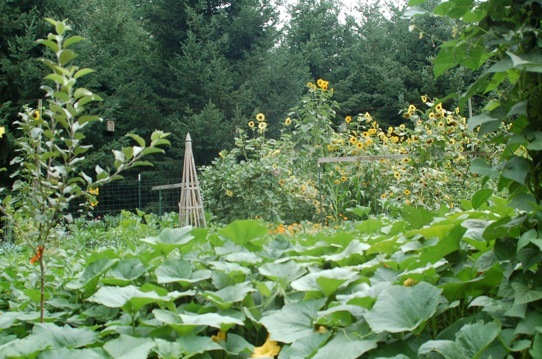 A different raised bed/s are chosen each year to plant the following years crop. The bed is prepped in late summer after harvesting whatever crop it currently holds. I turn the soil with a fork, add a sprinkle of lime and organic fertilizer, finally topping it off with ½” or so of good farmyard compost. After lightly mixing the top layer I throw on a quick cover crop of buckwheat and/or field peas and rake it in. A little water to get it started and we are done until mid/late September. At that time I turn the cover in with a garden fork and let it rest and decompose for a few weeks. The target date to plant garlic in our area is in October. Just remember “plant by Halloween, harvest by 4th of July.” Here in NW Oregon we usually have some beautiful weather in October. I just try to get the garlic cloves planted before the serious rains arrive. I break apart the bulbs I have saved, and set aside the outermost cloves for planting. The smaller inside cloves go to the kitchen. The soil that was amended earlier is soft and airy and the cloves are easily pushed in 1”-2” deep. By planting on a grid of 4” to 6” apart a large amount of garlic can be planted in a small space. From my garden this year I harvested 250 big, beautiful bulbs from a 4’ X 12’ area of raised bed! After the planting is complete, a quick pass with the back of a rake smoothes out the bed. Lastly I like to spread a 1” mulch of chopped leaves, leaves with grass clippings or straw over the bed for over-wintering. There is nothing more to do until Spring arrives. Early the following Spring, little green noses of garlic begin appearing above the mulch. Hand-pull any weeds that may appear, maybe lightly side-dress with organic fertilizer and re-mulch if you like. If nature doesn’t water them you will need to. I will deeply hand water the bed each week if it has been dry. You are trying to grow big, strong, healthy tops, as that is what it takes to grow a nice sized bulb. In June I discontinue watering and let the plants start to dry off. When about 1/3 of the green top is yellowed; sometimes the tops will start to lean over also; it is time to harvest, usually by the 4th of July here in the Pacific Northwest. Pick a dry day and gently lift each bulb out of the soil using a garden fork. Try not to damage the bulb or it’s papery cover. Gently tap off excess dirt. Set in a dry, shady, well-ventilated spot and allow them to cure. Remember to save the best bulbs for replanting in the Fall. Home -grown garlic is the best. There are so many varieties to try. I encourage you to head out this Fall and plant yourself a bed, or two, of Glorious Garlic! 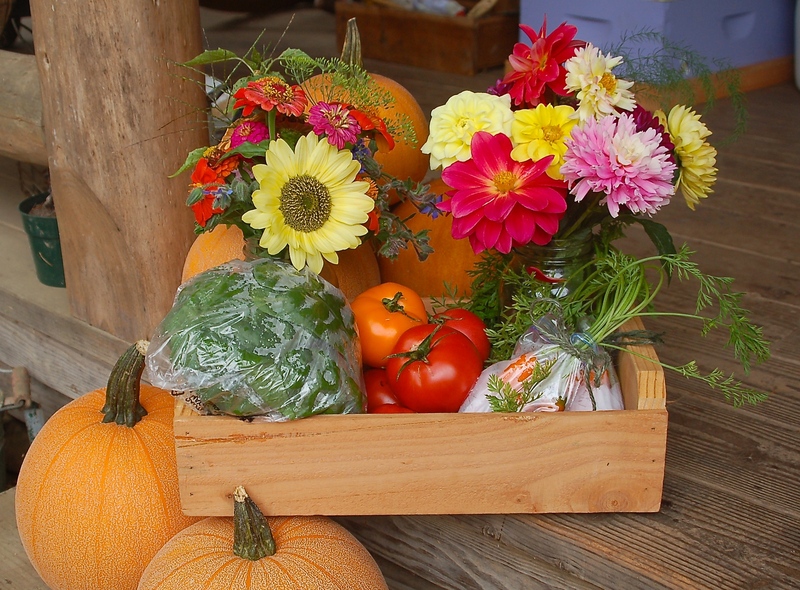 Life on the farm is a wonderful series of seasonal events. There is a flow of one event into another, just as the seasons flow one to the next. Some events have short timelines, others long. For instance plant a radish seed and in 3-4 weeks you have a radish to harvest. Pretty simple, minimal input. 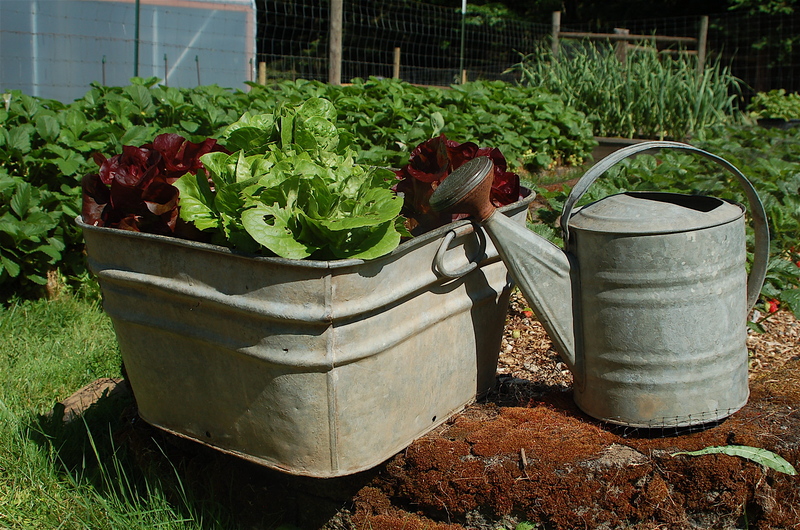 Other vegetables you may plant in Spring but not harvest until late Summer or Fall. Some may take multiple seasons to produce a first harvest. Yet other crops may take several years to bear harvestable fruit. -You learn patience. A lot can go wrong over the course; much of it you have little, if any, control over. -You learn resilience. You must always be thinking, planning, changing course if needed, all in advance of the actual event. -You learn to be flexible. There in lies the challenge of farming. -I wouldn’t trade it for anything! Soil… so much more than dirt. I am a soil farmer, a student of soil. My job, my mission, is to build soil health and fertility. If I am able to accomplish this task all else will fall into place. The goal is to grow beautiful, healthy, nutritionally dense, wonderful tasting products, both plant and animal. To do this I need to focus on the soil under my feet. There is a whole other, mostly invisible, world below us. One teeming with life; so much life that there is estimated to be more living organisms in a mere handful of soil than there are people on the planet Earth. Soil is Life; it is that simple. You are what you eat and it is what it eats. Therefore the food you eat, whether plant or animal is only as healthy as the soil it, or its food, is grown in. The end goal should be more than yield per acre it should be quality of product balanced with soil health. Soil health is much more complicated than the NPK that is posted on bags of chemical fertilizers. It is pretty short sighted to think that there are only 3 elements important to plant growth. Unfortunately that attitude tends to be common. Yes, you may get impressive yields but at what price. Soil life degrades along with soil quality. Nutrition in crops decrease as less and less nutrients are available to the plant. Insect & disease pressure increases as the plants health is compromised and they become more vulnerable to attack. With this cascade of declining health the usage of an arsenal of chemical “fixes” increases. This is not a sustainable model, especially in a time of climate change, peak oil & the incidence of chronic human health problems on the increase. Don’t misunderstand me. I do admire all farmers. Theirs is a very tough job. But I do believe that there is a much better way and it is right under our feet. We must build soil fertility. Increase soil tilth. Return mineralization to the soil. Find a balance. A way to provide food that is healthy for humans, the plants and animals we consume for food and that does not degrade the planet. I believe it is possible and the movement is gaining momentum. 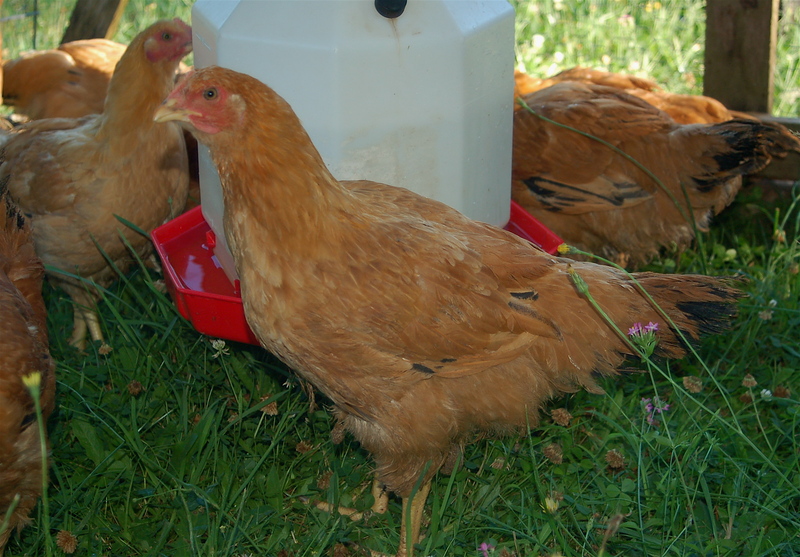 There are many small farms that are working very hard to do just that. Consumers play a huge part in the success of a return to food sanity. 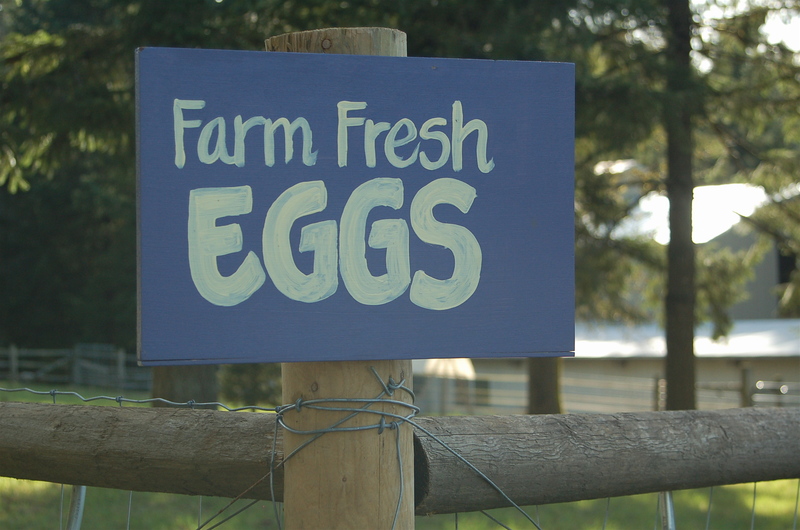 Support the efforts of small local farms. Get to know the farms and the farmers and the practices they use, ask questions and respect the job that they do. Be willing to pay them the extra cost it takes to operate a farm in the manner it takes to produce really good quality nutritious food. Show them you believe in what they are doing and to allow those farmers to make a decent living.